With 2012 already here, we've decided to provide some information on the best video cards for a gaming computer. Whether you are a seasoned veteran of computer gaming or just starting out, having the right video card really makes a big difference. 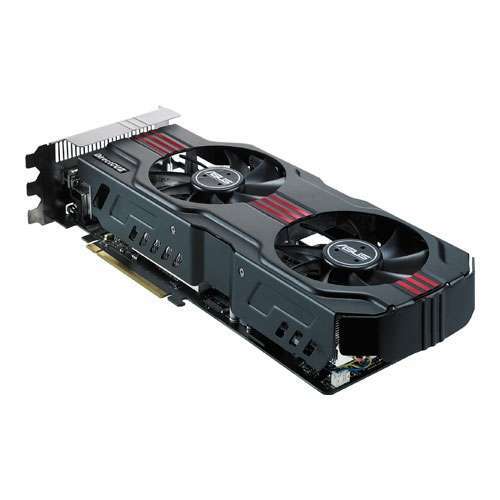 The two giants of the graphic card industry, NVIDIA and ATI, have produced excellent gaming cards and this guide will help break down the latest technology to guide your decision on what is the best video card available on the market right now. Before looking at the card itself, it is important to understand some of the terms used to describe video cards (also called display adapters). Graphic cards are comprised of two main parts, the memory (RAM) and the Graphic Processing Unit (GPU). A graphic card's memory is similar to that of a computer's memory. It provides a means of storing the video image to be sent to the monitor. However, this is easier said than done as the latest games feature higher resolution, more colors, and more 3D objects to render than ever before. A graphic card needs a lot of RAM to store this information and the more RAM the better. The GPU is responsible for taking the information from the computer's processor and deciphering it to the certain color codes and video information before sending it to the monitor for your eyes to see. For this reason, GPU's need to act quickly because any delay in the time it takes the GPU to break down the instructions from the processor can result in poor game performance. All these calculations and image rendering ultimately lead to increased heat production by the card, which explains the large fans incorporated onto the graphic card unit. Preventing the component from overheating is the top concern for a gaming computer and using good fans are a must. Be sure to check the video card's output connectors as well. These connectors provide a way to transfer the image generated by the card to the monitor or other output device. Most cards feature the high resolution DVI output connector and some also include one or more HDMI connectors. These types of connectors offer the greatest video resolution at 1080p. The PCI Express (shortened as PCIe) slot was designed to improve the speed at which the GPU can communicate with the CPU. An upgrade from the older Accelerated Graphics Port (AGP) was needed to meet the demand for the latest computer games and the PCIe slot more than met expectations. The major differences between the two styles include the PCIe bus being a much faster serial communication versus AGP's parallel architecture and PCIe supports using two video cards to one output called NVIDIA SLI or ATI Crossfire mode. The latest version of PCIe is 3.0. However many current cards have yet to offer the technology yet. Be sure to look at the card's specification type and see that it is the latest offered, as of this writing it is the 2.1 architecture. Now that we have a better understanding of some of the terms used to describe video cards, lets take a look at the latest offerings from NVIDIA and ATI. Please note that these two companies will produce the GPU chip for a video card and let other businesses brand them with their product name. For example, you might see an MSI GeForce GTX 460 video card but NVIDIA still makes the GPU for the card. The latest line of NVIDIA graphic cards, the 500 Series, is truly a gamer's dream. The flagship model, the NVIDIA GTX 580 , has some great features. The card includes 1.5 GB of the fastest GDDR5 memory available. This is extremely important for playing the latest games at their highest settings for a truly enjoyable experience. The card also has a blazing fast bandwidth of 193 GB/s and a core clock speed of 772 MHz. The higher the bandwidth and clockspeed the better as these indicate how quickly the card can process information. 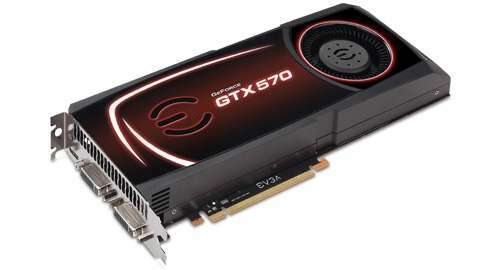 With a price tag of $525, it is an excellent card that will tackle the latest games head on with ease. The card provides excellent bang for the buck and I expected nothing less from NVIDIA. Lets compare these numbers with that of ATI's latest card, the Radeon HD 6970. The Radeon HD 6970 puts up some impressive numbers of its own. With 2 GB of GDDR5 memory, it adds 500 MB more memory than its NVIDIA built counterpart. It also has a core clock speed faster than that of the GTX 580, checking in at 880 MHz. The 176 GB/s bandwidth is slightly less than the GTX 580 but still plenty fast for the latest applications. With a very generous pricetag of ~$360, it is a very strong competitor in the video card world. ATI has always delivered a great product and I know you won't be disappointed with this card at the heart of your gaming computer. 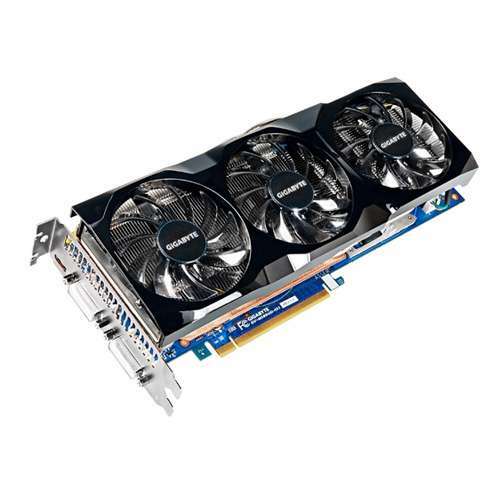 Although there are other important factors to consider when shopping for a graphics card, the three mentioned above highly dictate the overall performance of the card. While both companies continue to offer great video cards, for 2012 I'm putting my money on the Radeon HD 6970. Taking all the numbers into account, it offers a greater bang for the buck. If you are a fan of AMD processors, you can always get one of these cards now and another down the road and run them in Crossfire mode. However, don't count NVIDIA out. I'm sure they will put out another quality card soon to rival AMD. Let the competition continue!